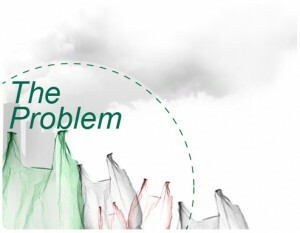 Consumers use more than 500 billion plastic shopping bags per year worldwide. That amounts to almost 1 million bags per minute! These single-use bags end up in our landfills and drains. Plastic bags don’t biodegrade, they photo-degrade. Photo-degradation is a chemical change in which light absorption reduces the useful properties of materials, particularly polymers. This means they break down into small toxic bits that pollute our soil, rivers, lakes and oceans. Because plastic bags require vast amounts of oil to produce, they contribute to expensive dependence on foreign countries. The days of single-use bags are numbered, they are simply not sustainable. Even paper bags, which were once thought of as a more environmentally friendly choice, are coming under scrutiny. Sustainable products are becoming more and more crucial to our environment. Increasingly, cities and states across the U.S. are legislating the reduction or outright ban of plastic and other single-use bags.